Cloud communications can offer a real change. Due to its speed, efficiency, seamlessness, and safety, cloud communications have become an integral part of the future functioning of specific sectors. This includes banking, real estate, travel and logistics, healthcare, and education. Cloud banking telephony has been driven by two factors: its suitability for large-scale customer engagement and the increasing competition from the technology industries. Cloud offers a higher degree of security, which is a critical factor in banking. From botanical customer engagement to practical support at each stage of the process, banks have access to thousands of cloud communications services. 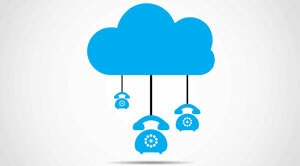 Cloud telephony has managed to disrupt the legacy business such as banking in a far-reaching manner. Real-estate players are also increasingly relying on cloud telephony solutions to ensure they do not miss out on any query. Furthermore, real estate players employ cloud telephony services to set up meetings at convenient times, and record feedback from visits. Cloud telephony behaves as a bridge that presents a cohesive and complementary service framework for tech-focused real-estate players. Cloud telephony solutions offer services for the tourism industry in a single framework-customer engagement, itinerary planning, and evaluation of different tour options. Logistics sector has cut down on costs significantly while boosting efficiency through the implementation of cloud telephony. Logistics players are now utilizing cloud telephony to give 24*7 information to the suppliers and end-users regarding the deliverables. Cloud telephony in healthcare, is helping to track records of individual patients and facilitate global knowledge exchange between practitioners. The long- term goal of a holistic medical ecosystem that enables care through communication and the empowerment of knowledge can be achieved through cloud intervention. From training students in remote areas to provide effective communication between teachers and students, the cloud plays a significant role in the education industry. Cloud-based telephony solutions offer companies the best way to develop a professional, tech-enabled approach to engagement. It not only leads to productive interactions and 24-hour accessibility but also serves as a one-stop customer insight tool to facilitate business decision-making.